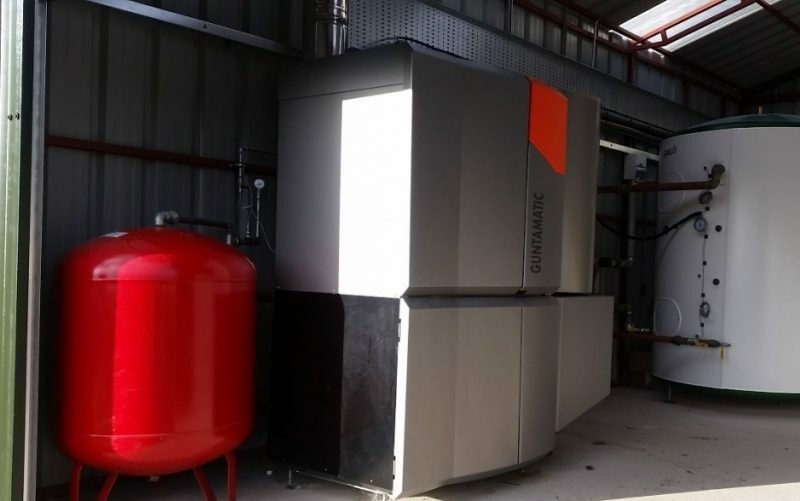 Colloide designs and constructs sustainable biomass heating solutions for all types of businesses, from small organisations to large commercial and industrial enterprises. We design and install the complete system including the boiler, biomass storage, pipework, buffer vessels and controls. 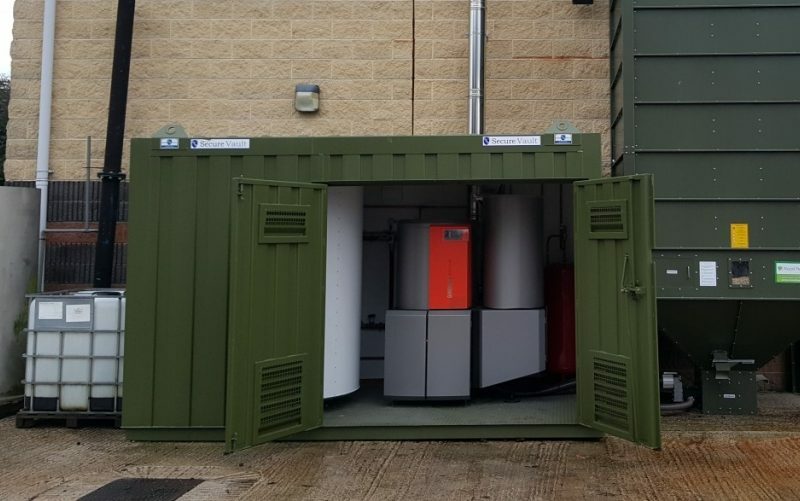 We also offer a packaged biomass system called the ‘Heat Pod’ which is a complete heating solution within its own building, ready to deliver to site. This system includes boiler(s), pipework and storage; all within one unit. 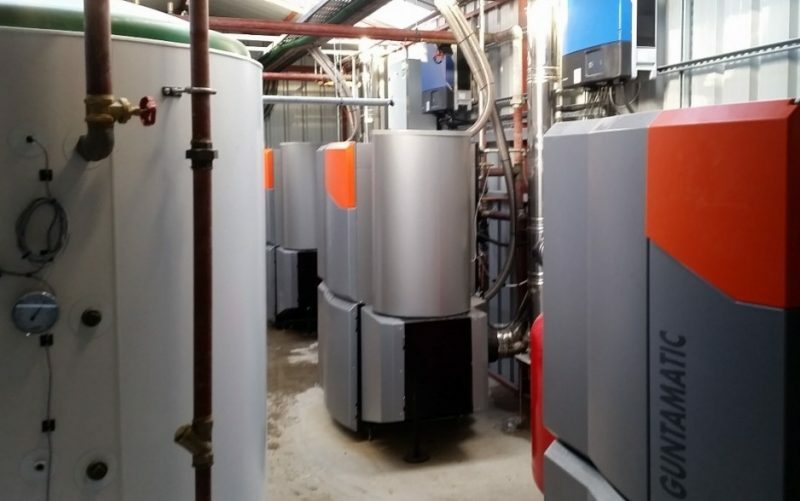 Whether furnace control, pellet conveying, buffer management, hot water preparation, weather controlled heating circuit with a weekly program for two circuits, or the connected solar heating system: all of this can be controlled via a touchscreen directly on the boiler or via the internet from any PC, smartphone or tablet. It‘s a lot, but it‘s easy to handle as the images on the touchscreen are self-explanatory. Regulated incandescent bed temperature: Perfect ash formation, no slag formation. Self-cleaning step grate: The incandescent bed can be changed, subject to fuel. Stainless steel cyclonic combustion chamber: Perfect dust separation, corrosion prevention. Advanced microprocessor control: Automatic ignition and output reduction down to 7 kW, Lambda probe, weather-compensated control for up to 6 mixer circuits, optional remote control via mobile phone. Highest convenience: Automatic grate and heat exchanger cleaning (mobile ash box to be emptied only approx. every 2-3 months). Lasting quality: Extremely robust agitator and screw conveyor design, gearboxes and motors of the highest quality, silicon-carbide combustion chamber, stainless steel linings. 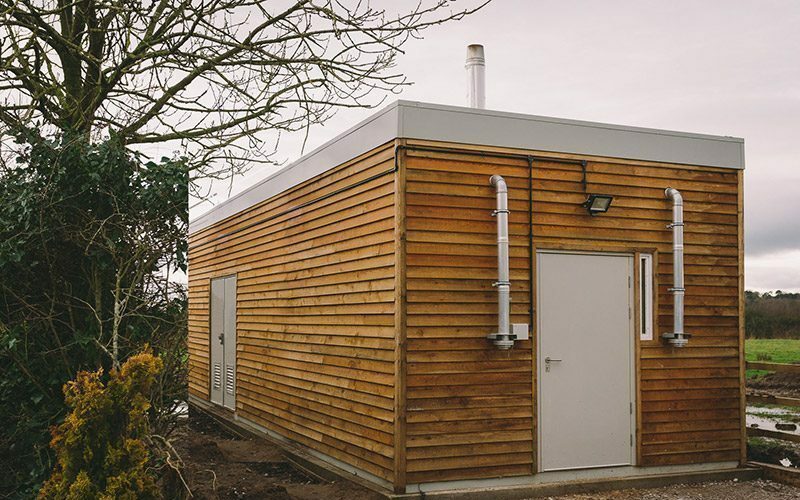 Biomass heating systems have a broad range of applications as practically all buildings require heat and energy. They provide a sustainable, low carbon and cost effective method of heating. These can be used in new builds or upgrades to existing buildings, from single houses up to large energy centres supplying district heating or large commercial buildings.